Step-by-Step Tips to Sort, Organize and Declutter Your Closet. Plus, Get a Tax Deductible Donation! It’s spring!! 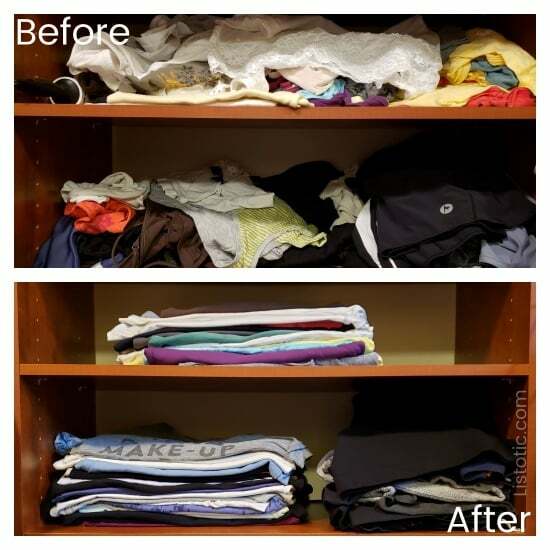 What a perfect time for closet organization: sort through your clothes and declutter your closet! Closet organization is one of those hidden messes. No one will see it, unless you show it to them. But, having a clean closet and less clutter always feels really good! 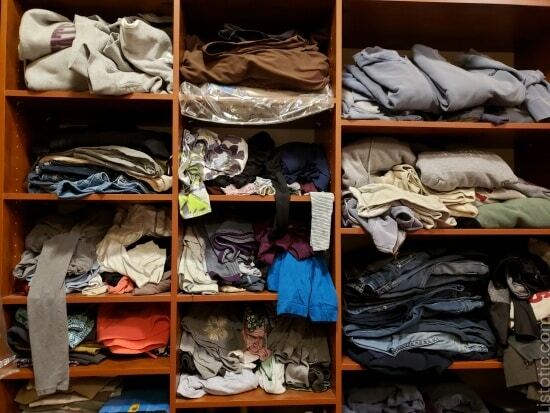 While my closet isn’t always neat and tidy, I regularly take a couple of hours and snap it back into shape quickly and painlessly. If you have researched this topic, or talked to friends, many people suggest taking everything out of your closet first. That is great advice if you are going to re-arrange where you keep things. For me, I would lose my mind if I switched up where I keep things. So, I prefer to simply take everything off one shelf. Go through my process and then move to the next shelf. Whichever works best for you. I like the small bites rather than one big messy bite that looks overwhelming. With my shelves looking super messy, I decided to use my own advice and clean it up! Step 1: Pull everything off ONE shelf. Tip: If you are planning to completely re-arrange your closet, go for pulling everything off every shelf/hanger/drawer. My closet has custom shelving that was built for the types of clothes I like to wear (jeans/sweatshirts/t-shirts) so I need to keep some things where they are. Besides, if I re-arrange where I keep things, I will be searching for days. Tip: I only allow a set number of hangers. That forces me to go through my clothes on a regular basis. If I don’t have an open hanger when I buy a new shirt/slacks/dress worthy of a hanger, I force myself to get rid of something. This helps me stay ahead of the clutter a bit. 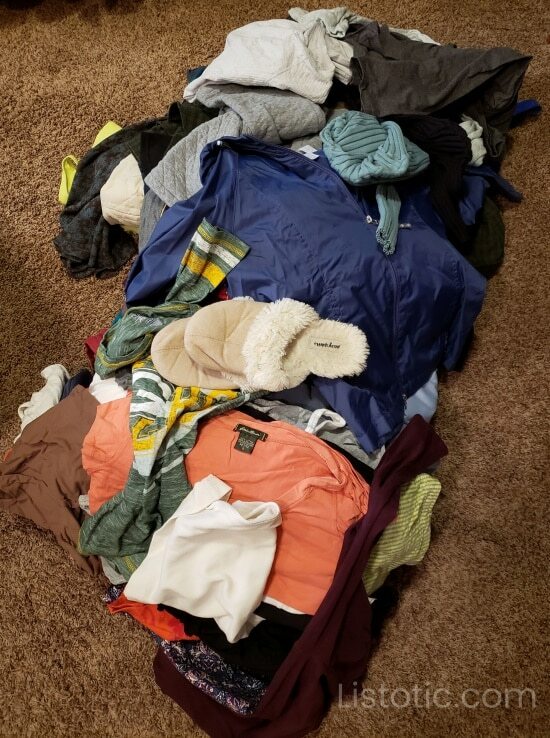 Step 2: Sort into 3 piles – Keep, Toss and Maybe. Step 3: Take the items in the Keep pile and put back on the shelf/hanger/drawer. Tip: One common organization idea is to re-stack or organize your closet by color. I didn’t do that, as I have about 4 colors that I like to wear (so boring, right?). But, if you have a larger color palette, you might like your clothes organized by color. 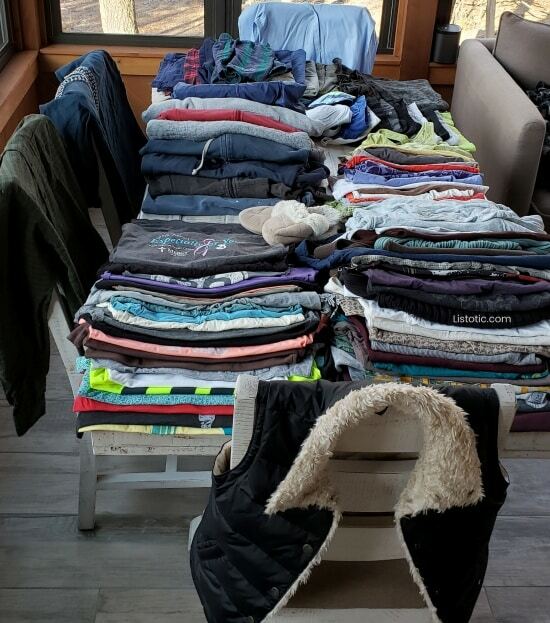 While I don’t fold all of my clothes according to these videos, they give you some guidance on efficient ways to fold your clothes. Step 4: Repeat for all shelves/hanger/drawer. 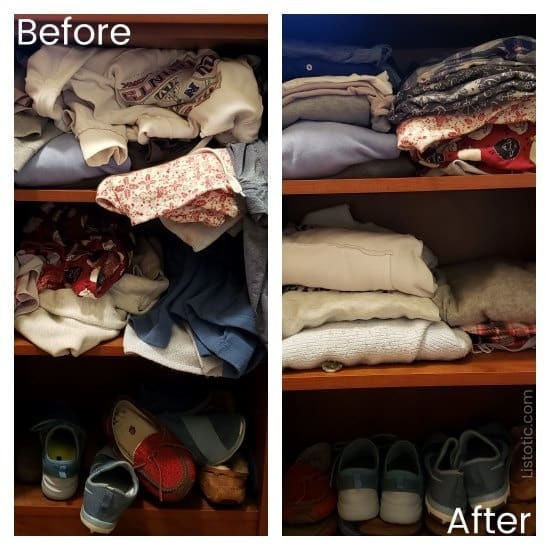 Here are some before and after pics of my messy closet transformed to neat and tidy. Step 5: Take the Maybe pile and put it in a box, tape it up, label it with the date. Tip: Put it somewhere that you can’t see it. Put a note on your calendar in 6 months to toss the box. Step 6: Gather up the Toss pile and decide how you are going to get rid of the clothes. 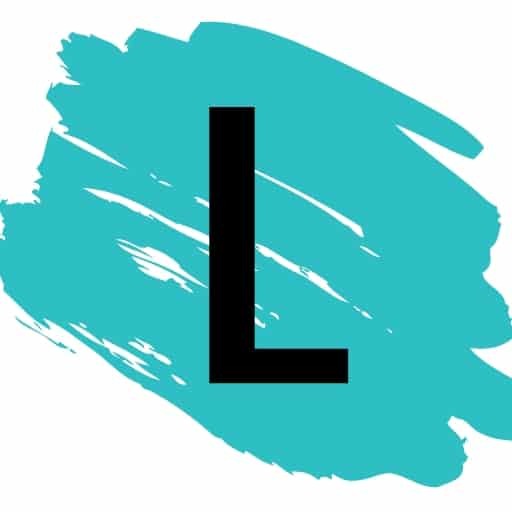 Maybe you want to share a few items with friends, maybe you’ll be selling some on eBay or a garage sale, maybe you’ll be giving them to a charity, or maybe they are ripped or stained and you need to throw them away. In any case, sort the Toss pile according to how you plan to rid yourself of the clothes. Tip: If you are donating the clothes to a qualified charitable organization, check out the section below on Tax Deductions for Your Used Clothing. Personally, I am choosing to take my Toss pile to the Salvation Army. Step 7: Step back and breathe in the beauty of a mess-free, stress-free closet. It feels great to get the excess out of the house! And, knowing it is going to those less fortunate, makes me happy! For those of you who choose to Itemize Deductions, you could gain some benefit from donating your used clothing to a charity. The non-cash charitable tax deduction is found on the Form 1040, Schedule A, in the third section, Gifts to Charity has a line for “Other than by cash or check.” The tax deduction is allowed only for items that are in good used condition or better. You will only want to take this deduction if the sum of all of your Itemized Deductions is greater than the Standard Deduction. There have been some rule changes for 2018 taxes, so please refer to your accountant and/or Schedule A instructions to ensure you gain some benefit. For any donation amount over $500, you need to attach Form 8283. You also need to keep a receipt from the charity you gave the property to that shows the organization’s name and address, the date and location of the gift, and a description of the property (in this case the clothes). 1. Take a picture of every item that you are donating. For clothing, lay it all out on a table and take pictures from multiple angles to get a good representation. 3. Get a receipt from the organization that has their name and address. And, attach a list of the items given (plus a picture) with your estimate of value, before filing it in your yearly tax folder. 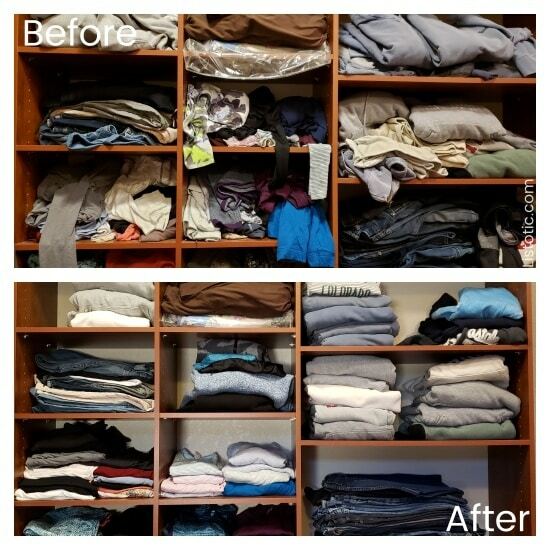 Don’t forget to check out Andrea’s Roundup on closet organization. You’ll find some helpful tips from the pros! Check out these genius storage inventions that are sure to make your home organized and more efficient. There are so many creative and clever ways to store things without spending much time or money at all. Check these out these ideas!